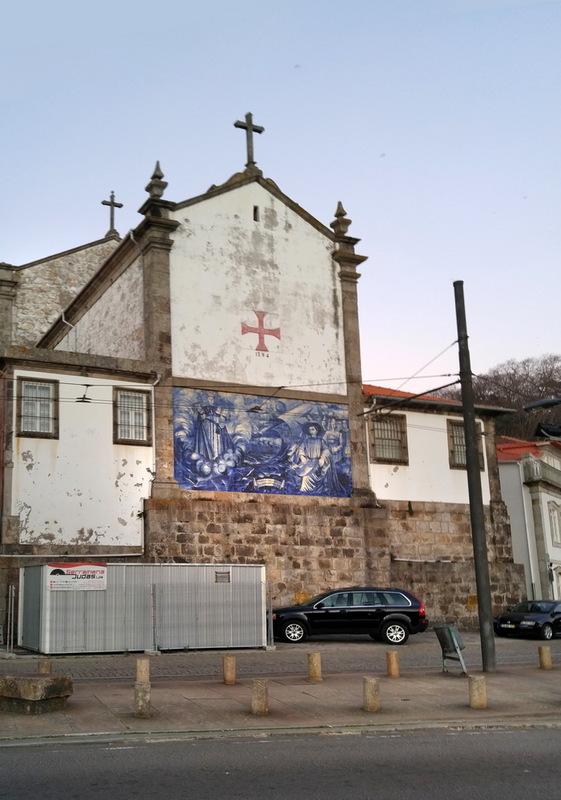 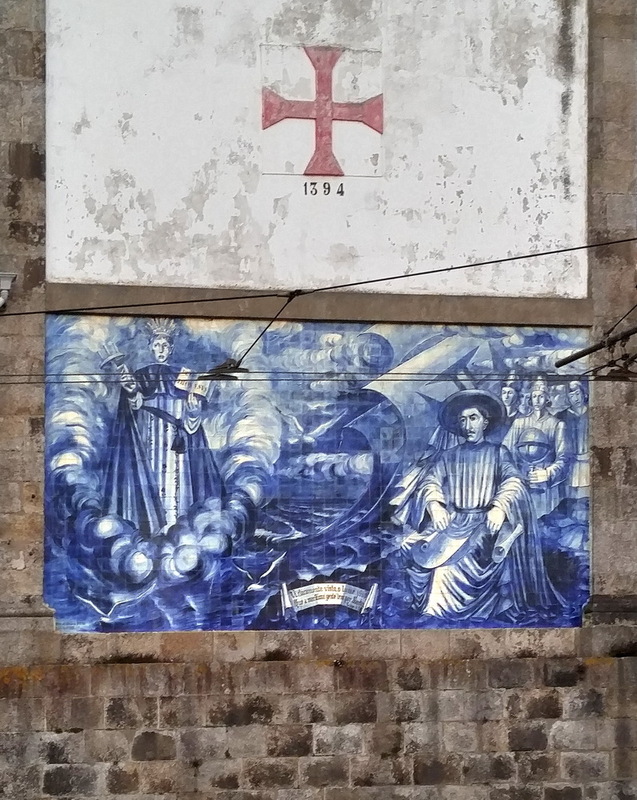 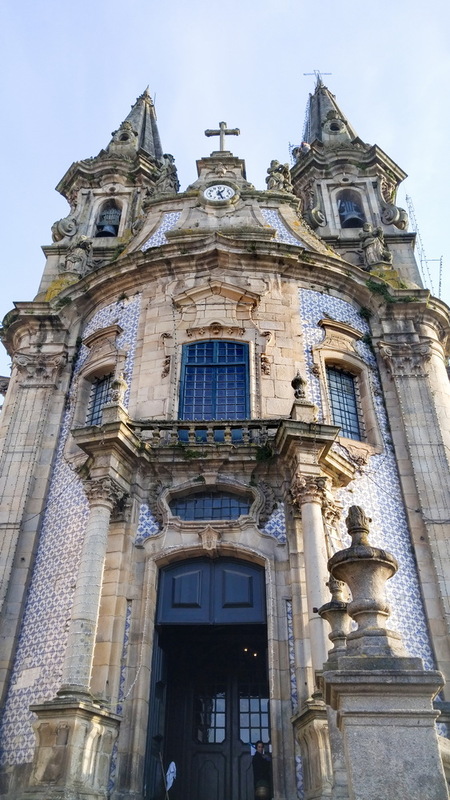 Azulejo, painted tin-glazed ceramic tilework, on the facade of the church. 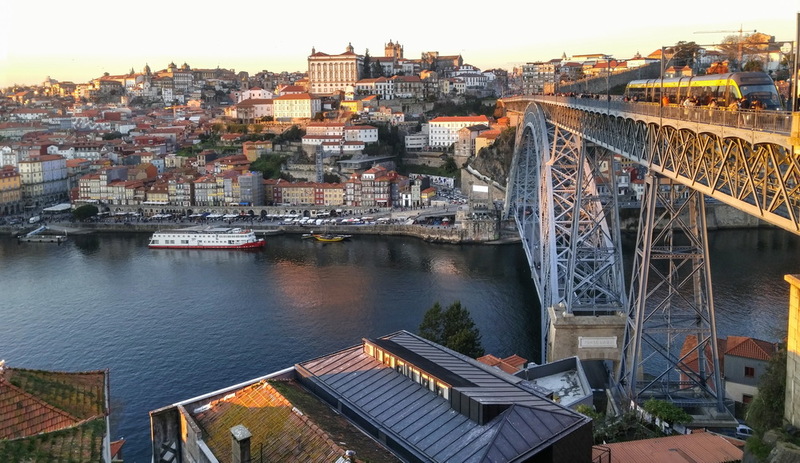 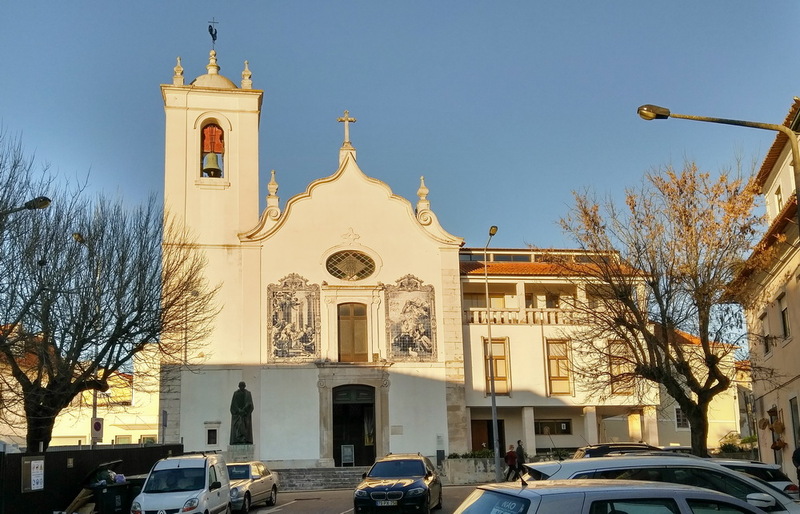 In the middle of January 2019, my family and I went to Portugal for two weeks. 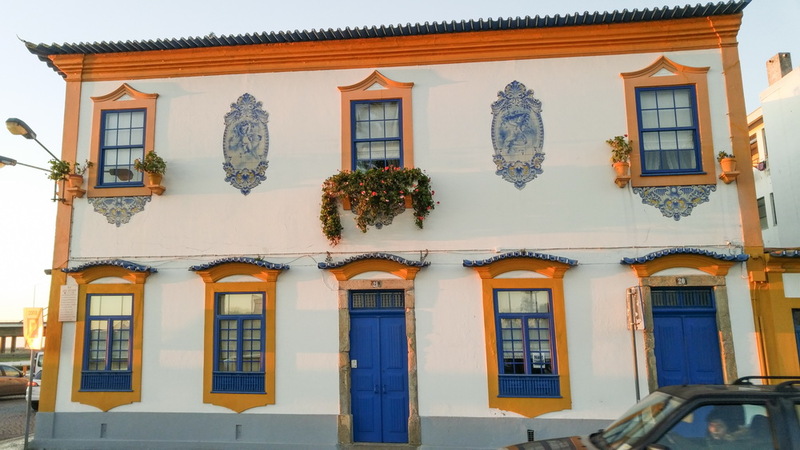 We fell in love with the county’s beautiful people, food, weather and of course, art, architecture and history. 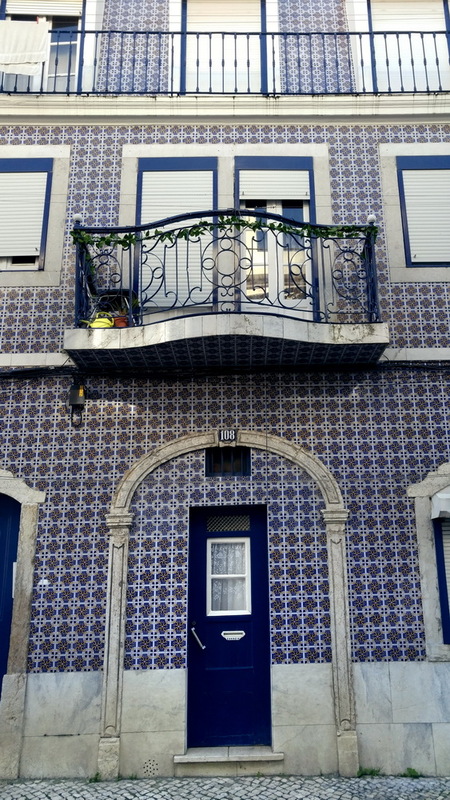 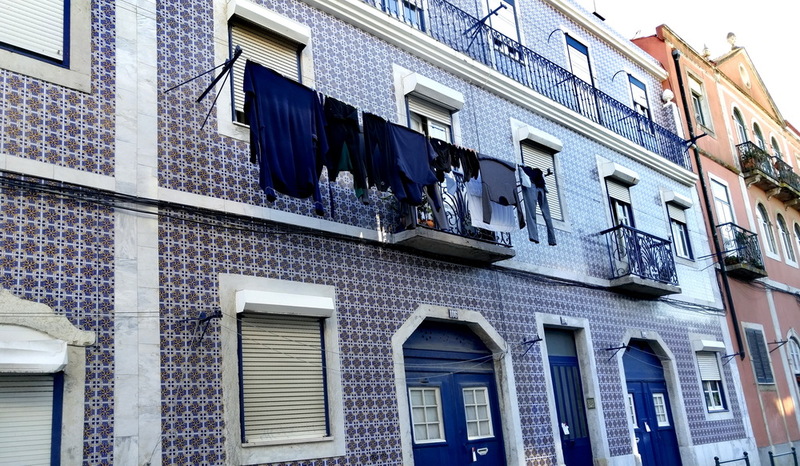 Most houses are covered with glazed, ceramic tiles, called azulejo. 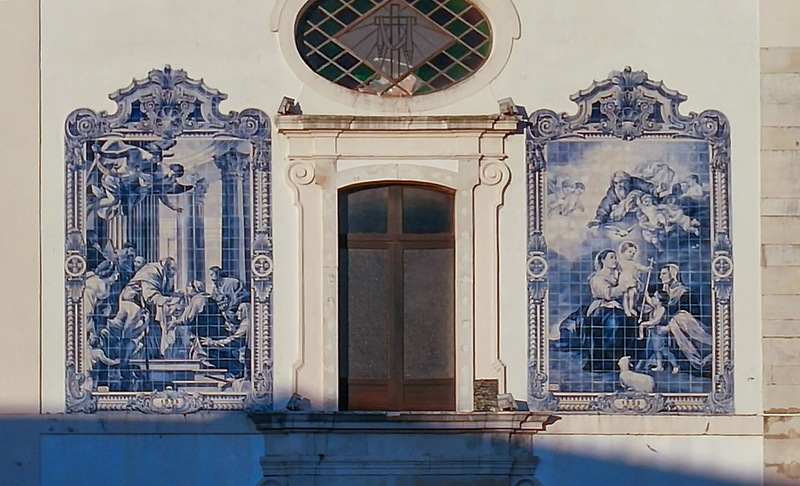 From churches and palaces to apartment buildings are decorated with them. 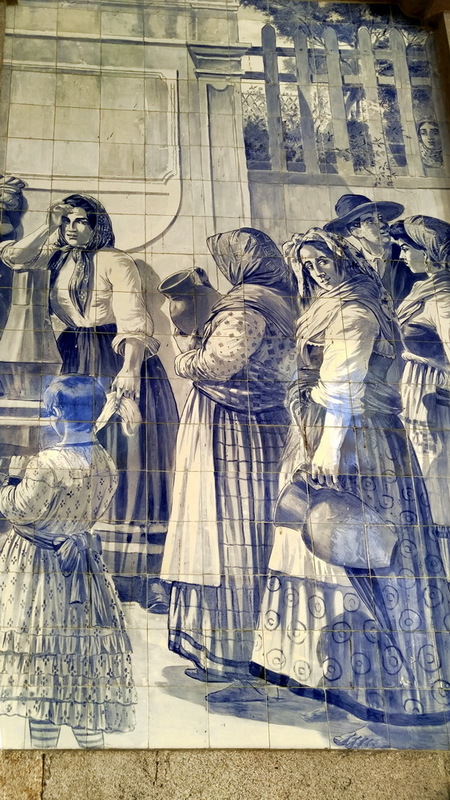 Mostly, azulejo has blue tones. 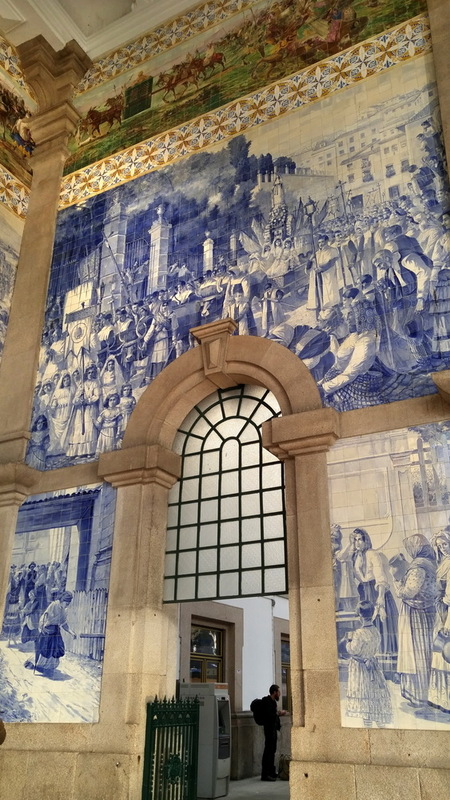 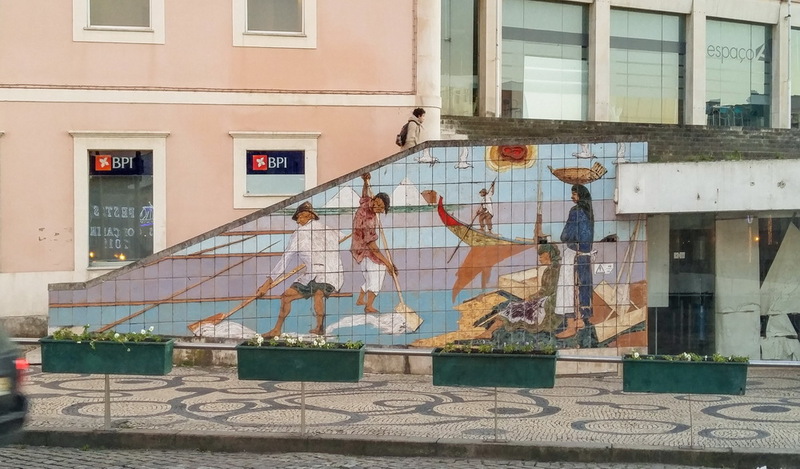 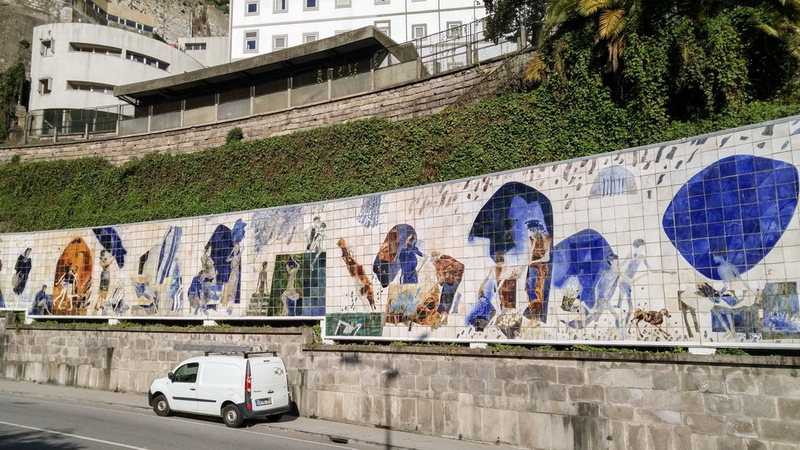 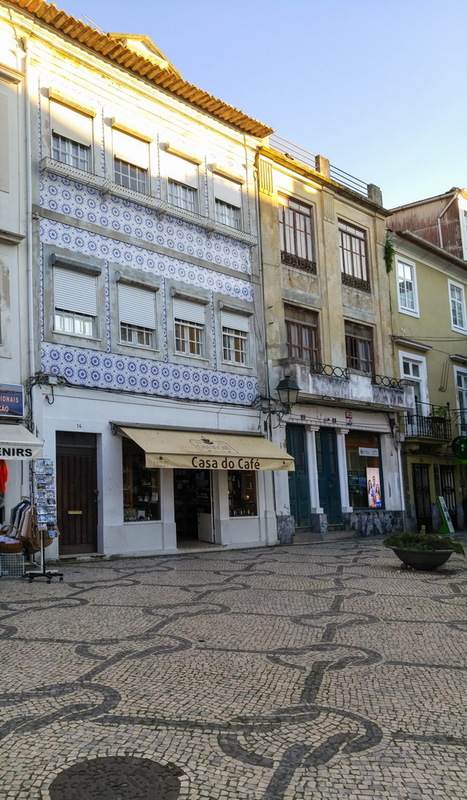 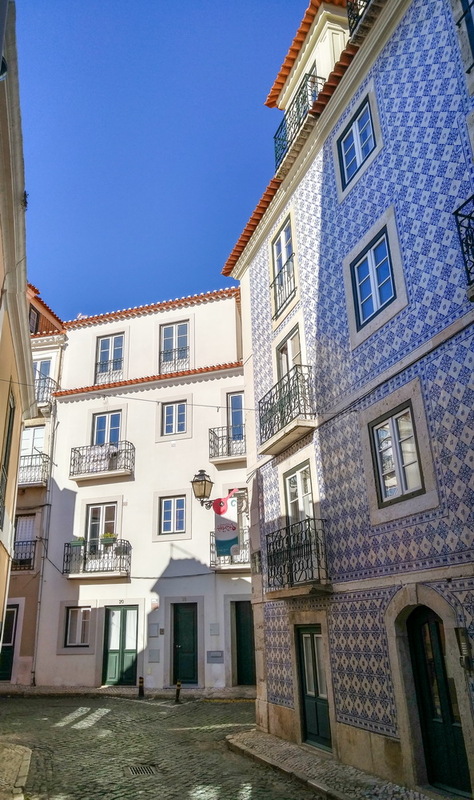 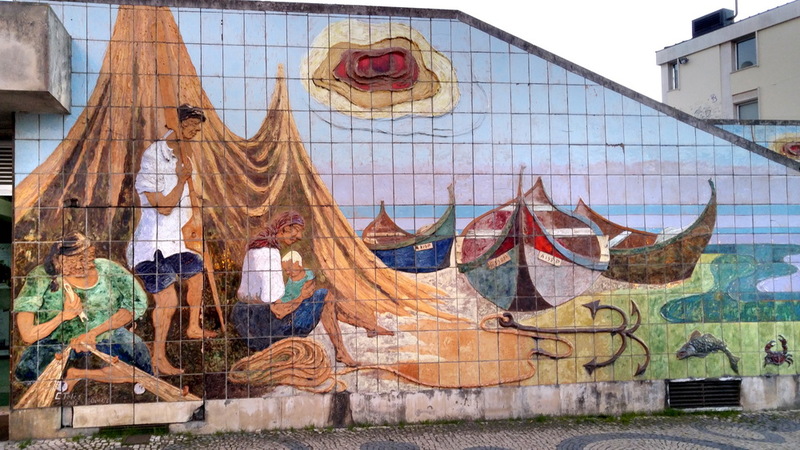 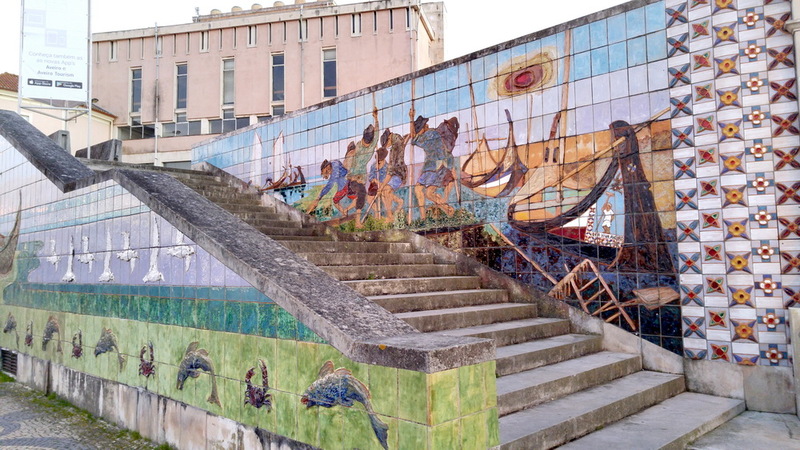 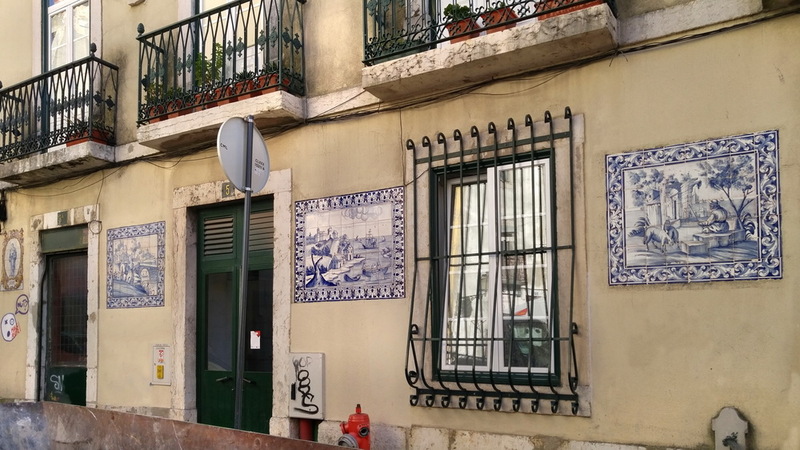 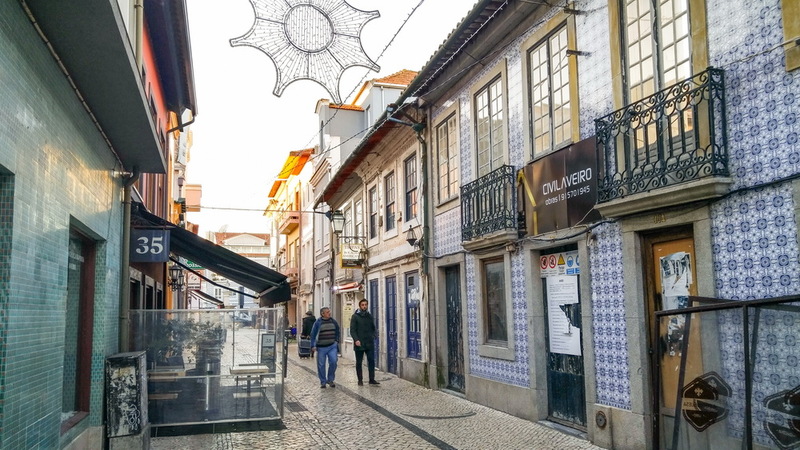 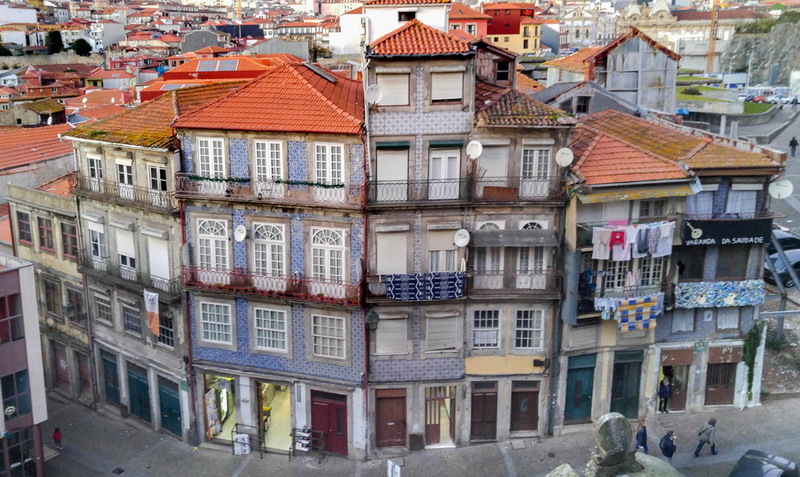 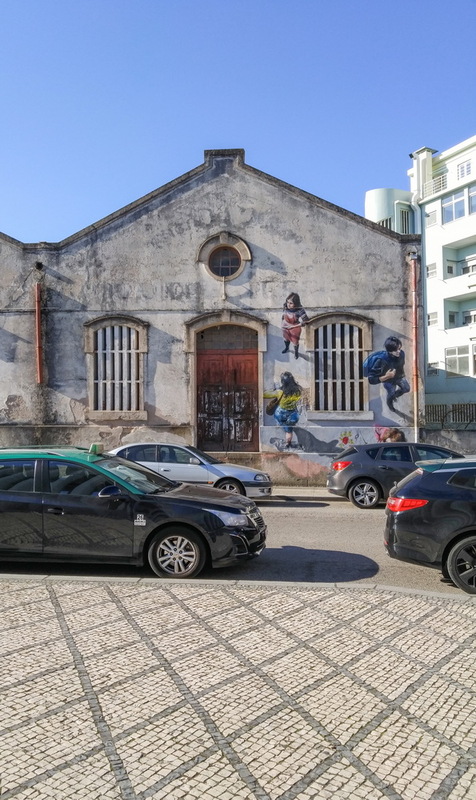 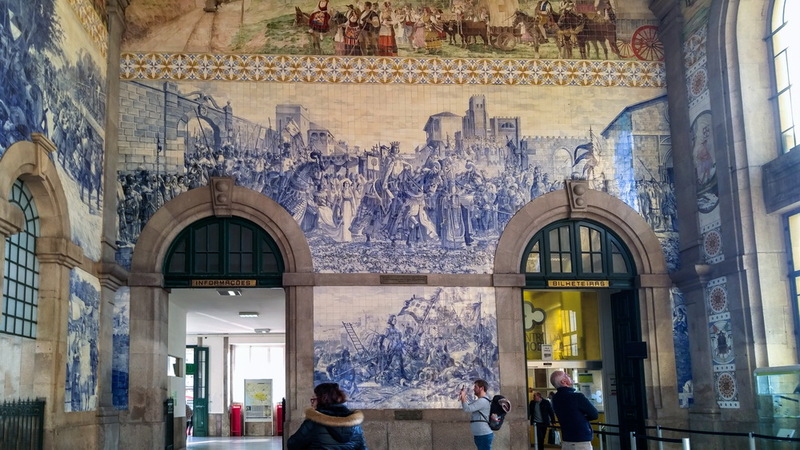 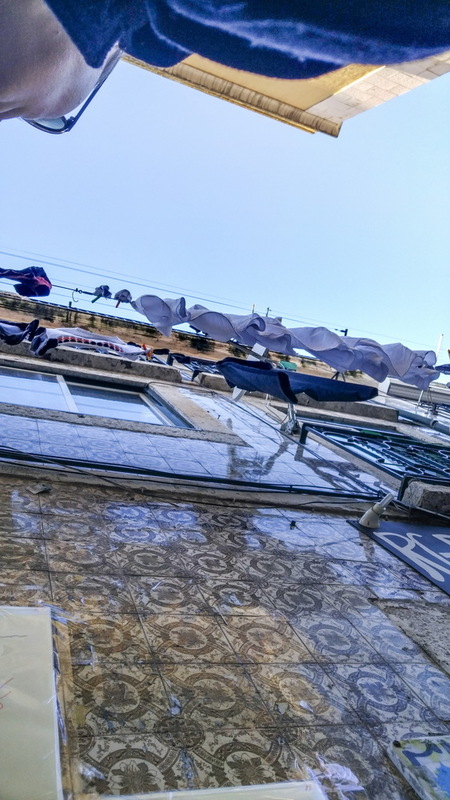 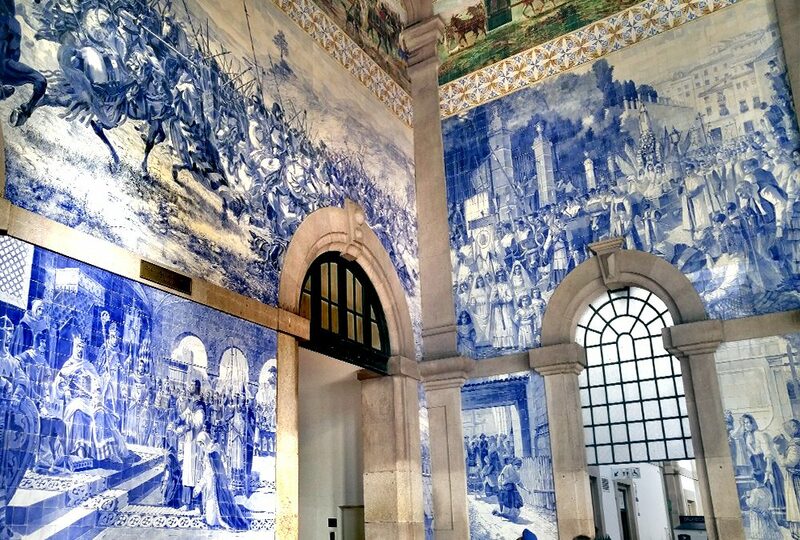 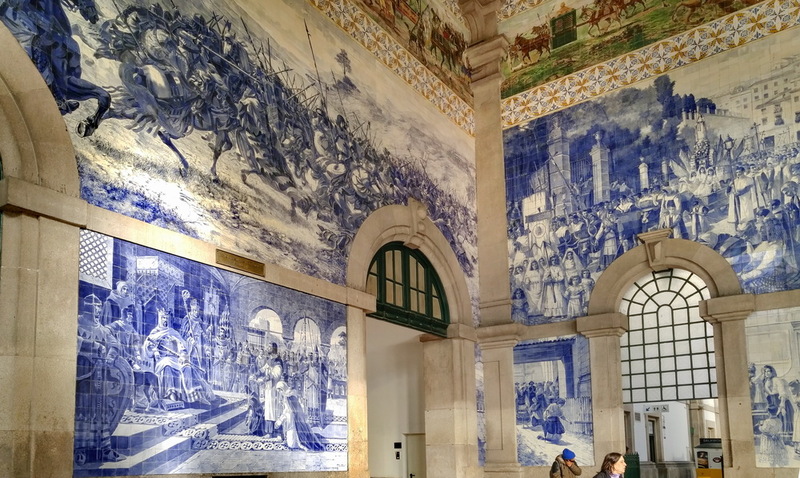 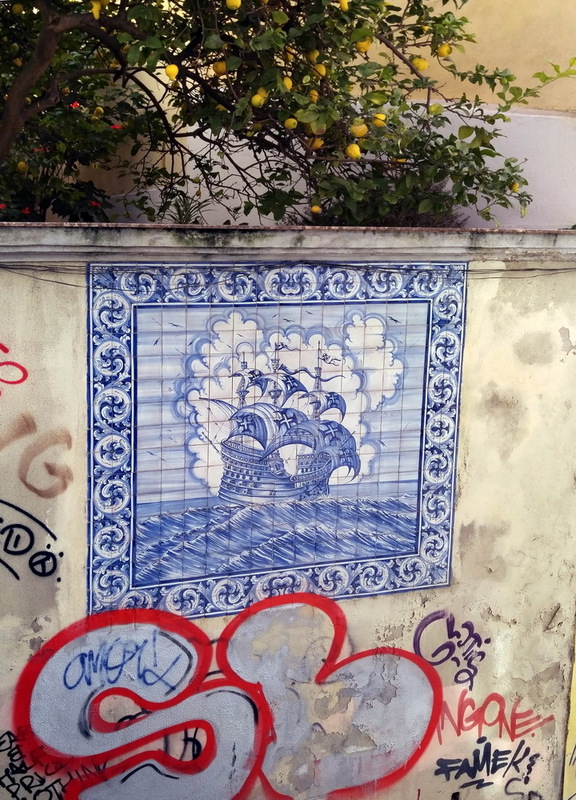 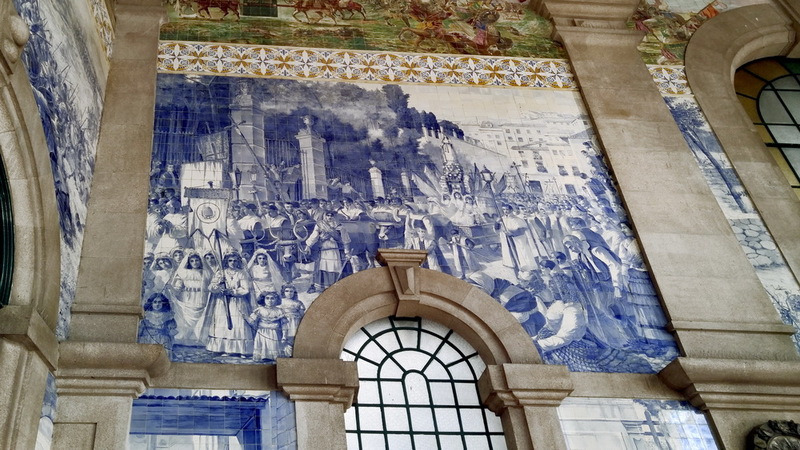 From decorative ornamental tiles, that are covering whole walls, to intricate tile murals that depict some historical plots, azulejo turn the streets of Portuguese cities into outdoor museums. 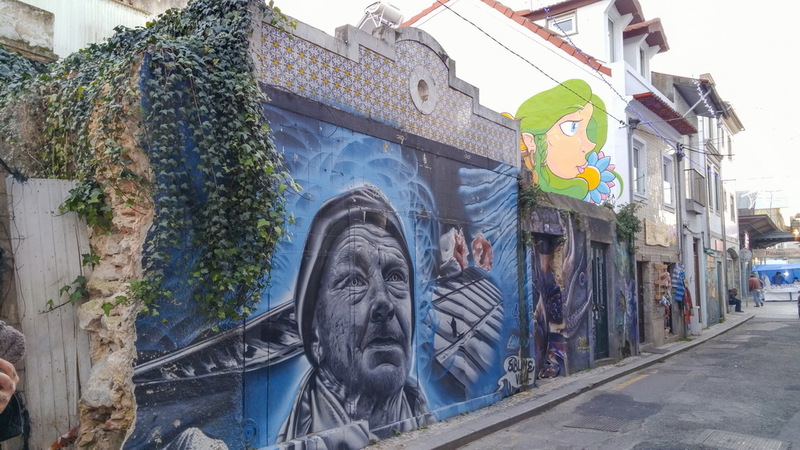 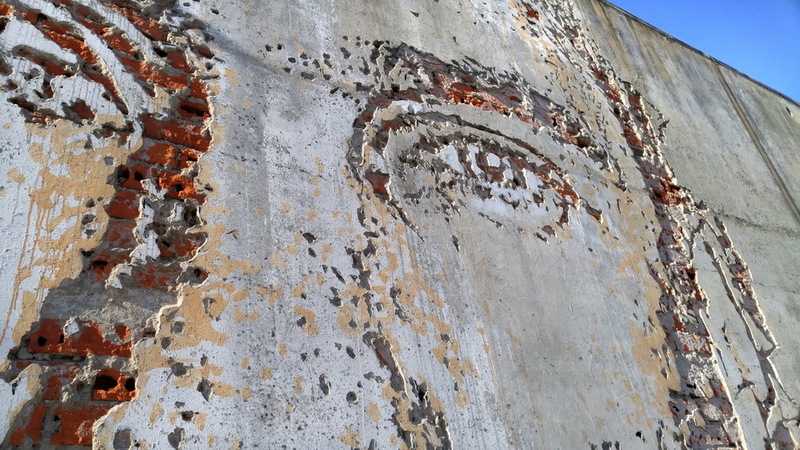 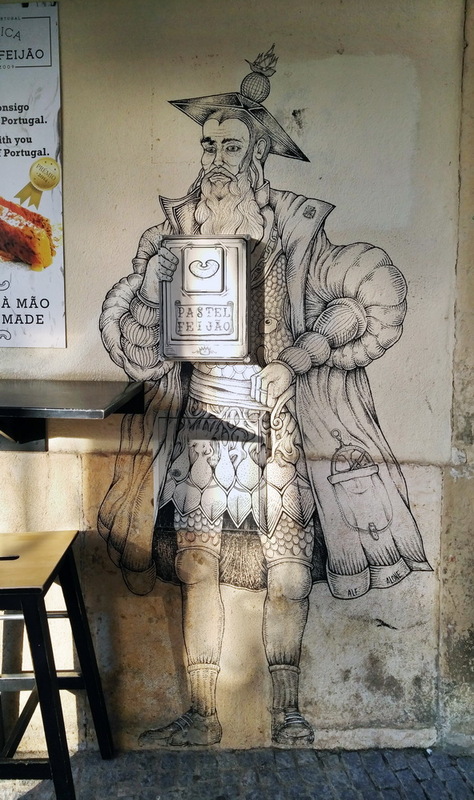 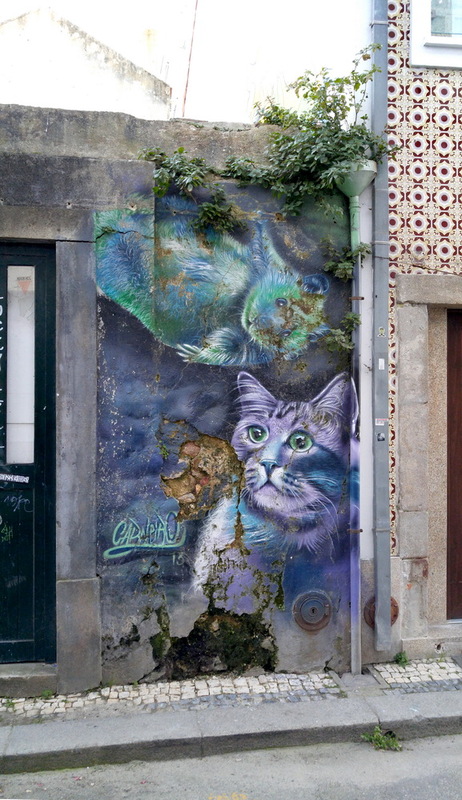 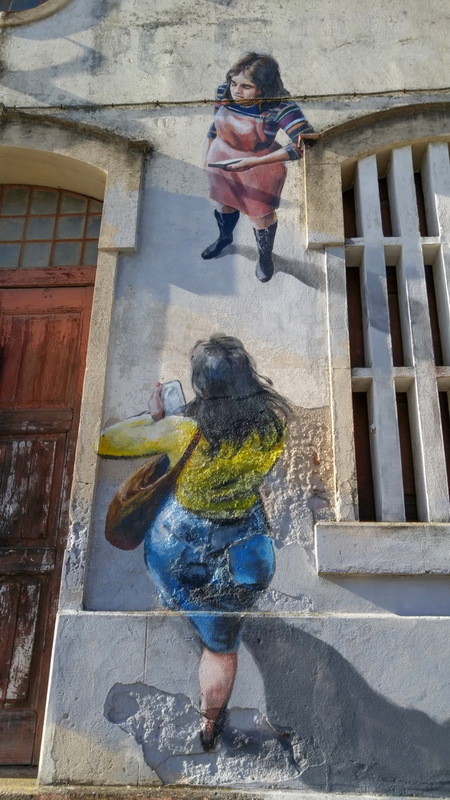 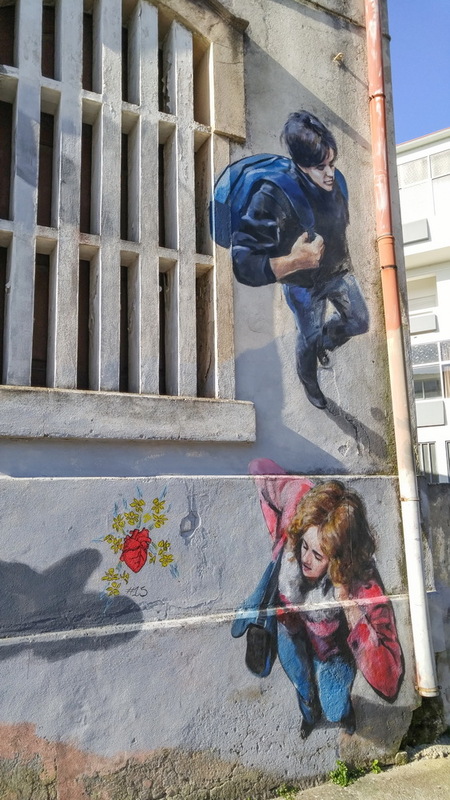 The unfortunate side of Portuguese street views is graffiti. 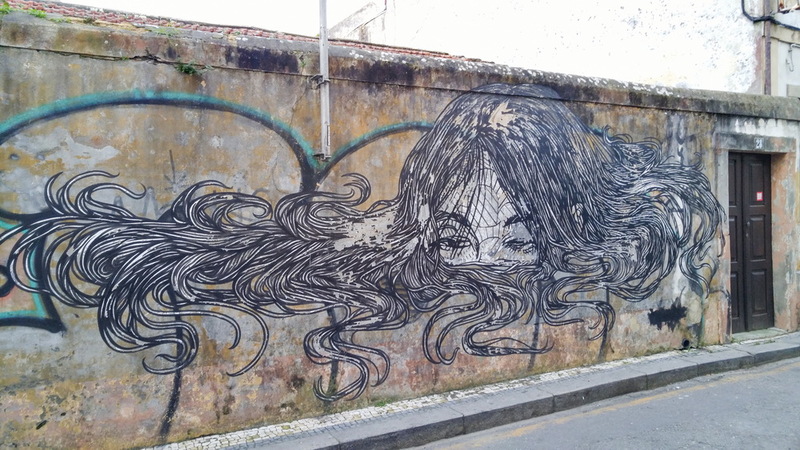 Tags and graffiti are everywhere. 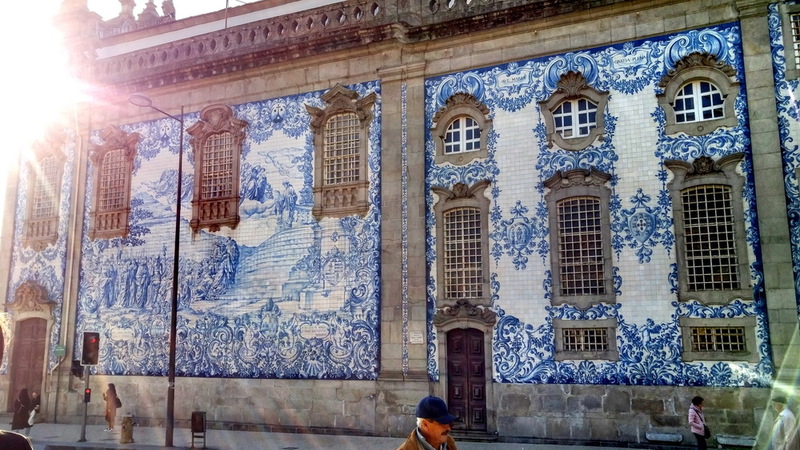 The main streets and squares, government building, museums are all covered with this unfortunate ugliness. 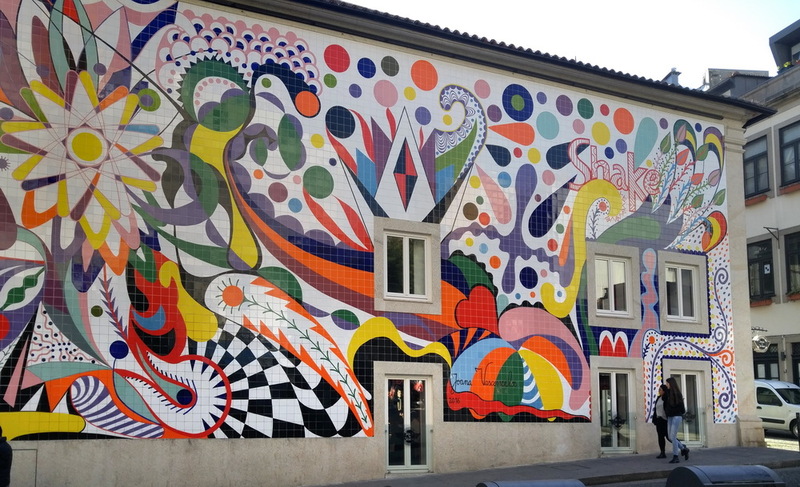 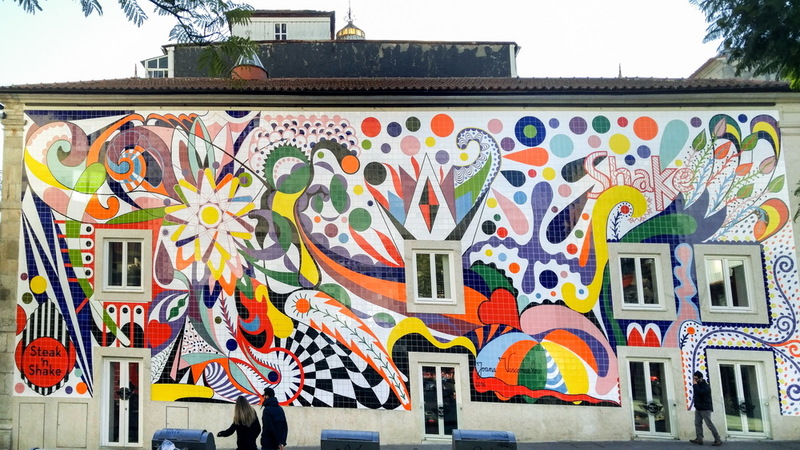 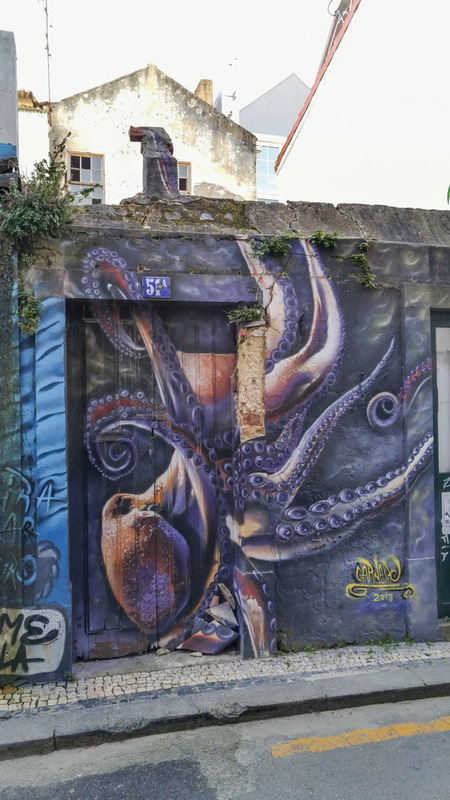 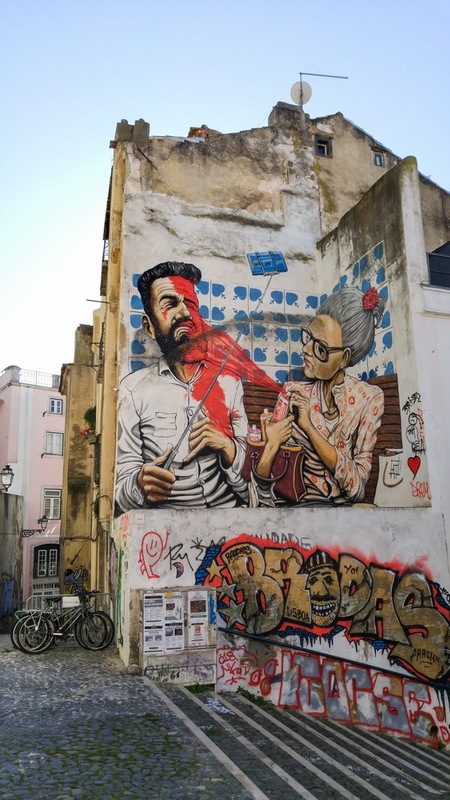 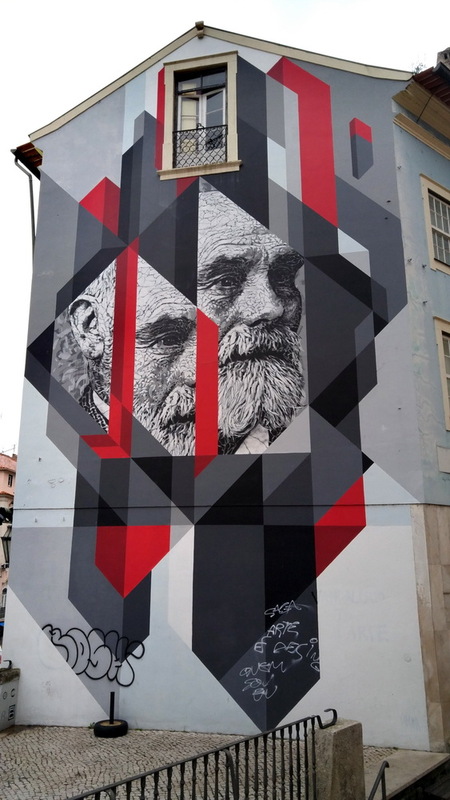 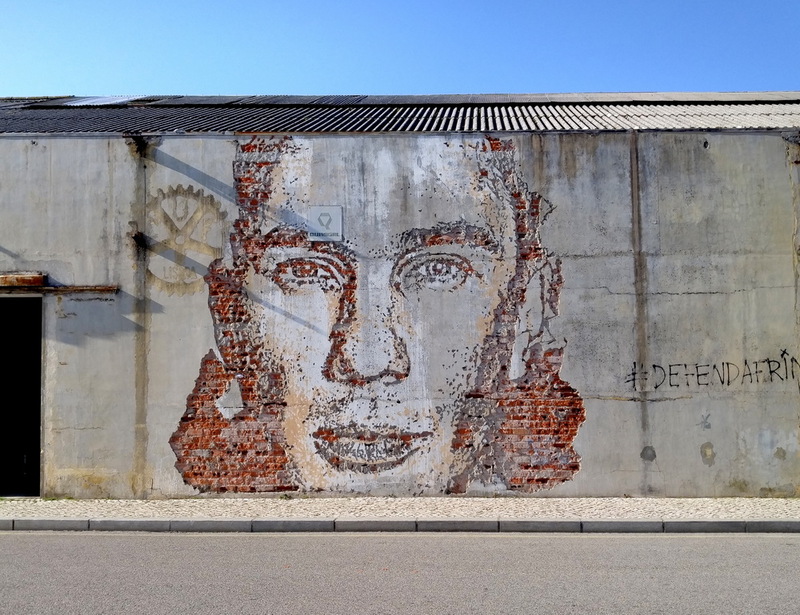 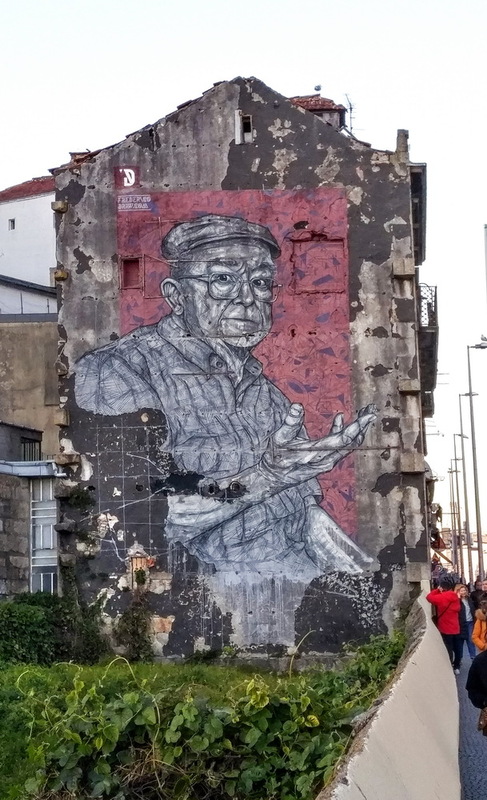 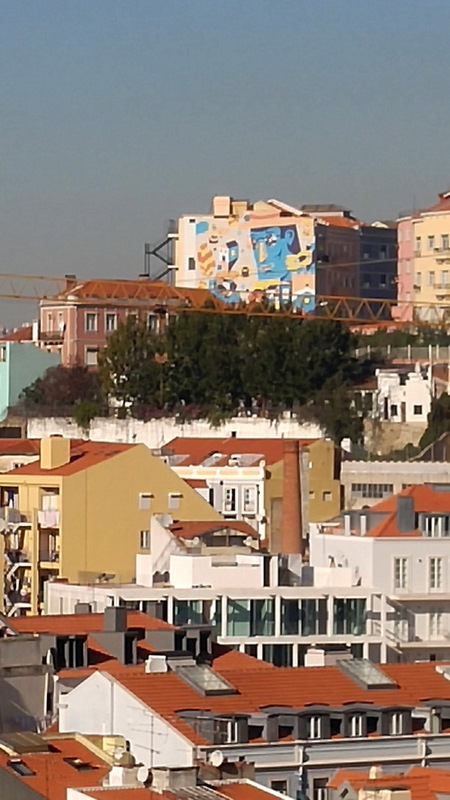 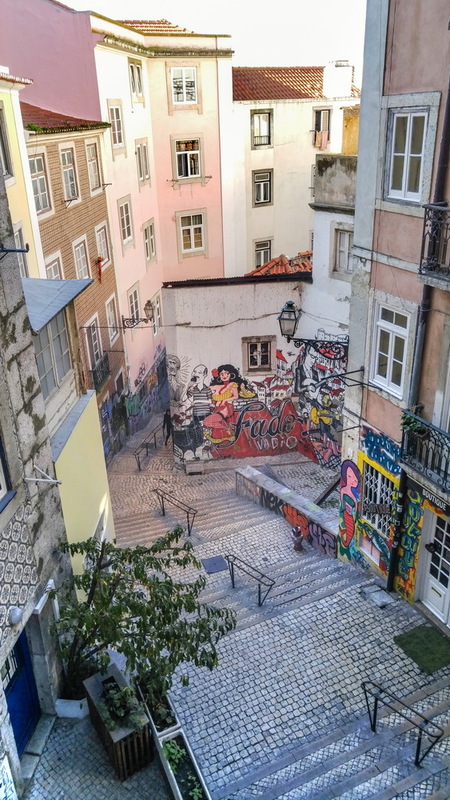 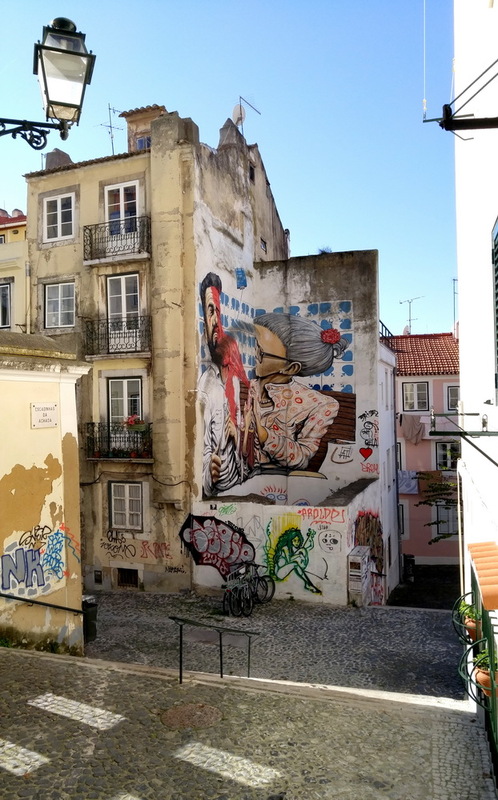 Modern public art and murals in Lisbon. 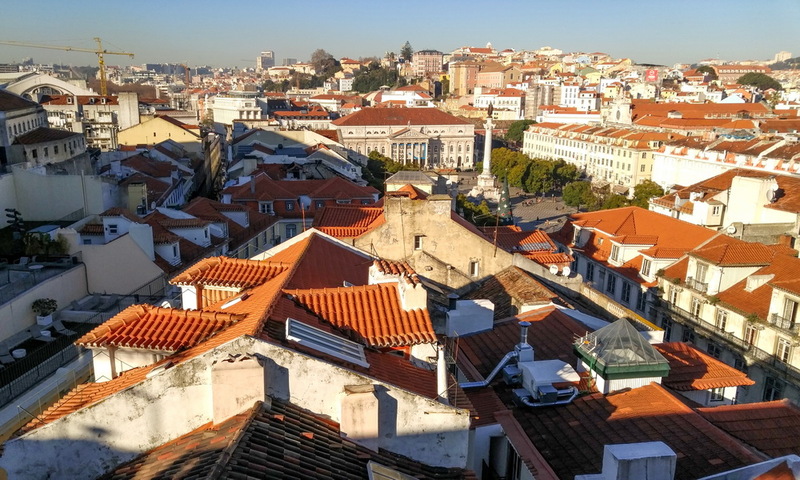 Red shingle roofs of Lisbon, Portugal. 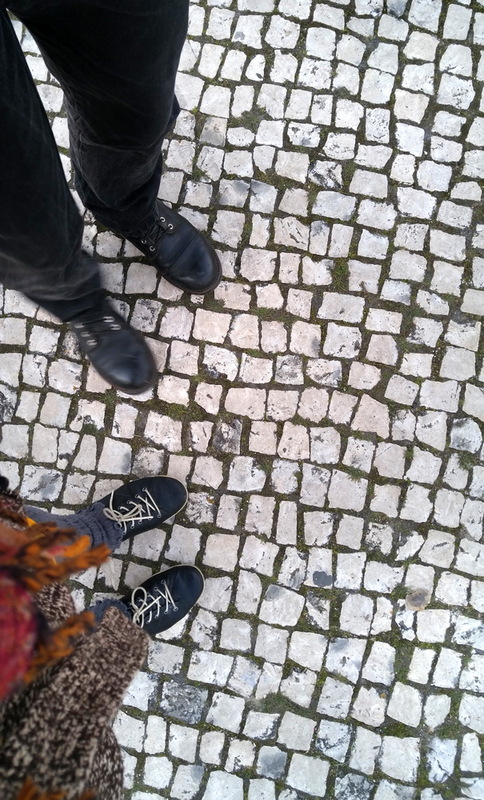 Another interesting and beautiful part of every city decor in Portugal are the sidewalks laid with pebble stones. 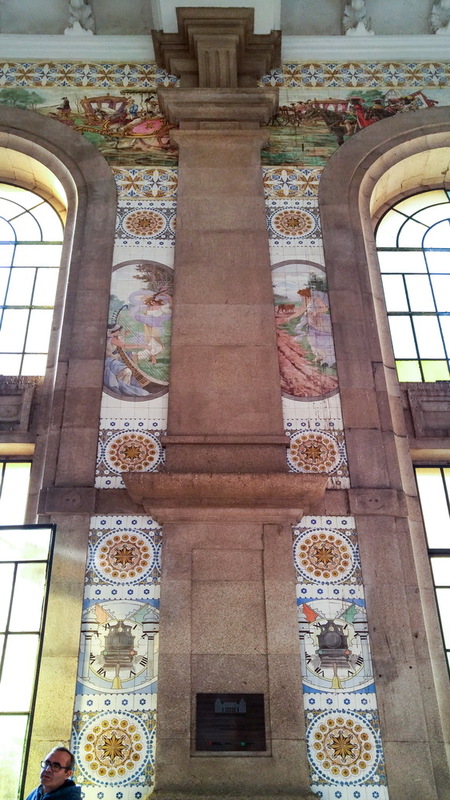 They often are laid in some designs and ornaments. 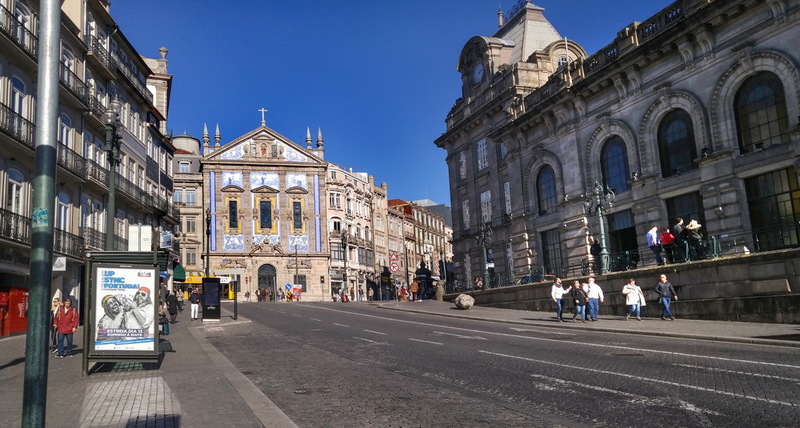 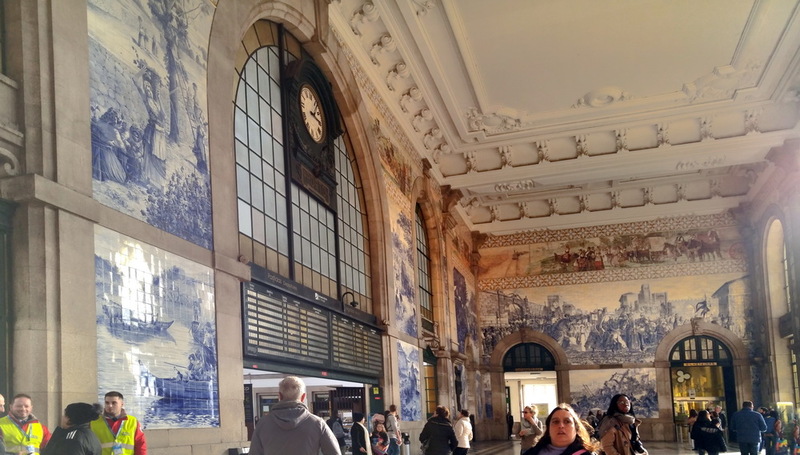 Igreja de Santo António dos Congregados and Porto’s train station, Sao Bento. 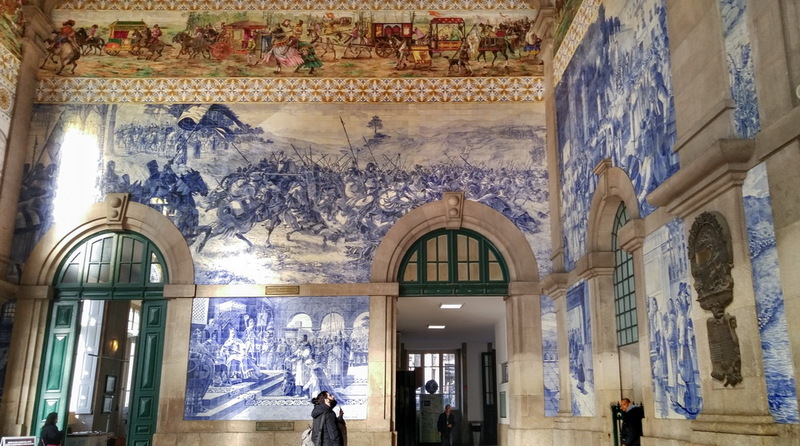 19th-century railway station noted for its elaborate azulejo tilework in the main vestibule. 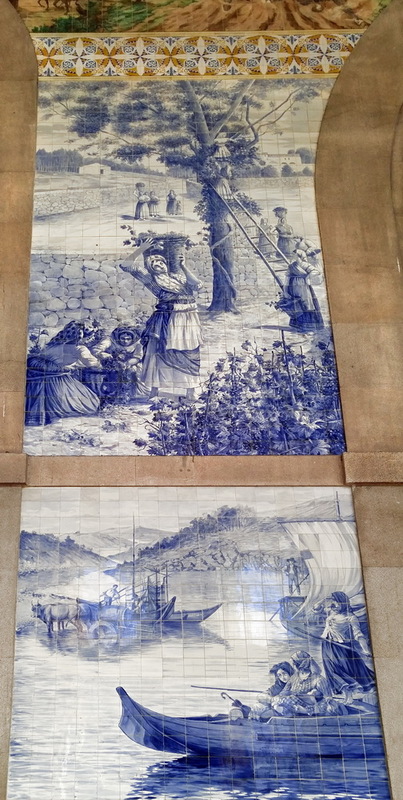 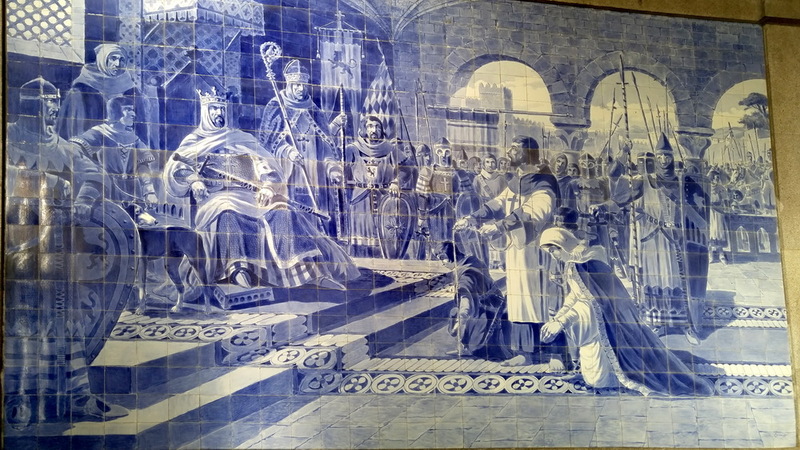 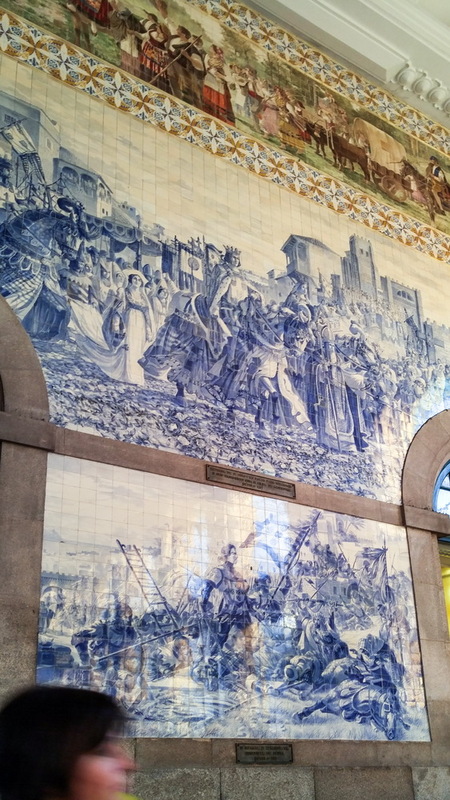 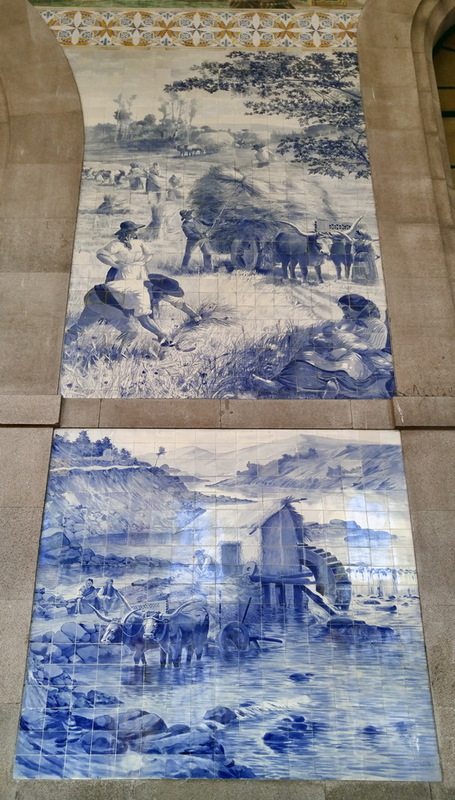 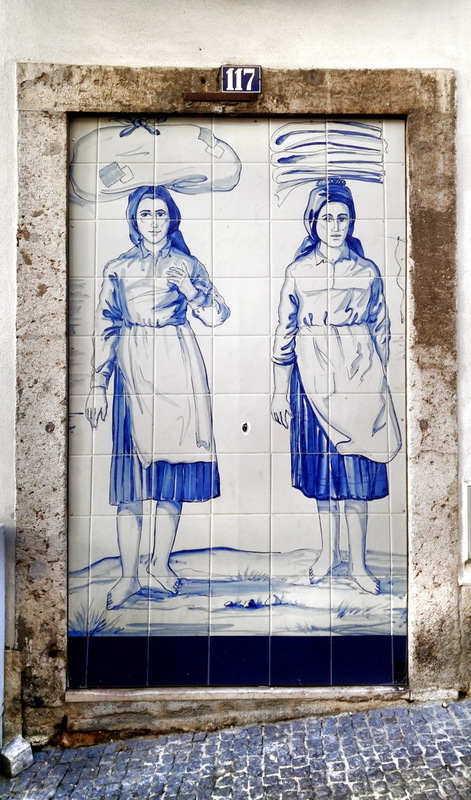 There are approximately 20,000 azulejo tiles, dating from 1905–1916, that were composed by Jorge Colaço, an important painter of the time.